Remember last year when Apple admitted that it shipped iPad Pro (2018) units that were bent? A leaked internal email from VP of hardware engineering Dan Riccio that was sent to a customer who purchased the tablet, said that even with the bend, the device "meets or exceeds all of Apple's high quality standards of design and precision manufacturing." Apple's specs require a flatness of up to 400 microns, which the executive pointed out was less forgiving than required on earlier generations of the product. Apple blamed the cooling process involved in the manufacturing process for the (ahem) non-defect. 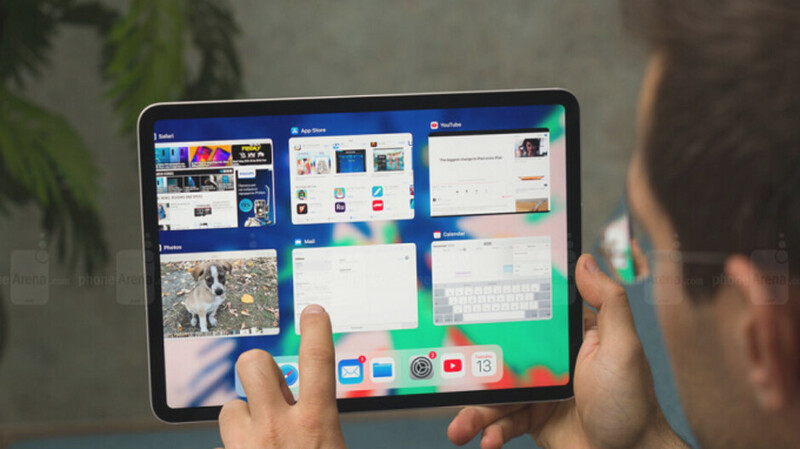 If you are not happy with the bend on your 11-inch or 12.9-inch iPad Pro (2018), which Apple says does not and will never ever affect the performance of the device, you might want to follow along with a story posted on Reddit (via ZDNet) about an Apple customer who was able to score a free replacement unit. This customer took his bent iPad Pro (2018) to the Apple Store where he was told by an Apple Genius that there were one of two outcomes he could expect. If the bend is found to be within tolerance, no action would be taken. On the other hand, if the bend was found to be severe enough to be outside of the tolerance range, the customer would receive a free replacement unit. But the Apple Genius quickly brought up something else. "Well, if you had connectivity issues with your WiFi for example, I would have to order a replacement. So what is wrong with your iPad?" This comment was the equivalent of a wink. Without a second's thought the customer replied, "The Wi-Fi, I guess." The bottom line? The customer picked up his replacement iPad Pro (2018) last week. Now, before all of you iPad Pro owners rush to your cars and drive to the nearest Apple Store, the company is going to catch on to this if it hasn't already. You need to find the right kind of Genius Bar employee who values justice over his job. We're going to go out on a limb here and say that there are not too many of those to be found at your nearby Apple Store. I was all set to buy this until the bending issues. Went with a 10.5 pro instead. Same here. I was going to buy but then I was scared away by the bending and sucked in to a great deal at Best Buy 256gb 10.5 for $549. I’ll live with a slightly slower 10.5 when it’s saving $300 over a comparable 11. I was too, but this bending issue coupled with the crap excuse from Apple was just too much. I ended up keeping my 2016 12.9 Pro. I ended up giving my iPad Pro to my parents and buying 6-month-old Samsung S4 for half the original price :-D I really had my eye on new iPad Pro, but better SOC and Pen is just not a good tradeoff for poor build quality. BTW: If Apple would implement DeX features, it would wipe any remaining Android tablet resistance. But ... who would buy Mac12 or Air in that case? If you have one. Funny how the problem just disappeared when the news cycle ended. I thought bending was part of the price? And apple will use every alibi in the devil's book just so they won't replace your ipad for free. So you have to lie to get a replacement for a product that was built to bend? Typical Apple, not taking responsibility for their own problems and finding a way to blame it on the consumer, UNLESS it gets enough media coverage. Un friggin believable. Apple is becoming ridiculous in a lotta ways. Once again you guys give people false hope I work for Apple as a genius in a retail store these unit get sent to a repair center for service as Apple is aware of the issue we have zero say so in the matter of replacing it a repair center shut off from us and any communication makes the choice of coverage which 9/10 won’t be the case of being swapped under warranty. You guys create these articles giving people false hope in a process that one person claims to have had in a retail store. You shouldn't have to lie to get a replacement. Some fans probably don't care that it is bent out of box bit, for the ones that do care they should be able to get a new one.